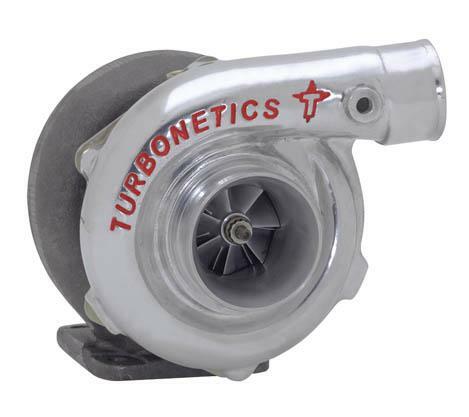 The T04B and T04E series are the most versatile turbochargers available to the performance aftermarket. High compressor efficiency, strict quality standards, TURBONETICSÕ exclusive “blueprinted” assembly process and competitive pricing makes the T04B and T04E the obvious choice for many applications. Available in a wide range of compressor and turbine combinations, the T04B and T04E family can support power levels from 300HP to 550HP for single turbo applications and over 1000HP for twin turbo applications on engines from 100CID to 500CID.